How has the expansion of formal schooling in developing countries actually contributed to children’s opportunities to learn and progress? What challenges remain to education systems seeking to reduce inequality of opportunity in the post-2015 climate? 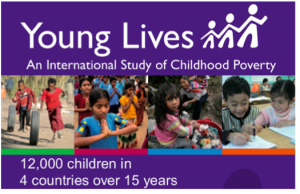 Six papers from Young Lives draw together evidence and analysis on these issues from our linked household and school surveys, with a focus on the role of formal schooling in mediating between children’s home backgrounds and learning progress. This is the second in a series of previews introducing Symposia, Round Tables and Sub-Themes from the 12th UKFIET International Conference on Education and Development to be held 10-12 September in Oxford, UK. Please leave your comments and questions about the Symposium below. 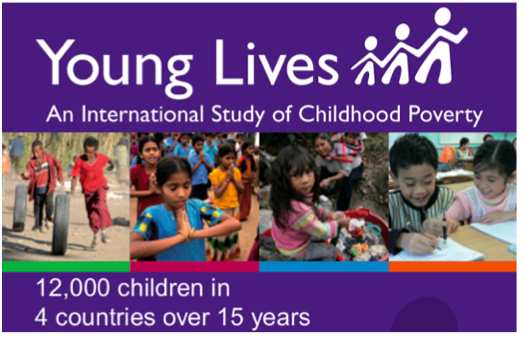 Young Lives is a longitudinal study of child poverty and its dynamics in Ethiopia, India, Vietnam and Peru, following 12,000 children over 15 years during the period set for the achievement of the Millennium Development Goals (MDGs). Since 2010, the study has also included school surveys, providing detailed information on index children and their peer’s education. This symposium presents evidence and analysis from the linked household and school panels on role of education in mediating between children’s backgrounds and their learning experience and outcomes. In the first symposium session, papers exploit the household and school data to look longitudinally at the association between household wealth when a child is very young and later ‘opportunities to learn’ in Peru; the role of formal schooling in ‘narrowing the gap’ between children in the early years of primary in cross-country perspective; and the impact of shocks and the burden of work on children’s primary school completion. In the second session, papers focus on data collected at the schools of Young Lives children to consider the challenges of measuring learning achievement across linguistic and cultural groups; the teaching and learning practices of Ethiopian classrooms; and, finally, what value-added analysis contributes to knowledge about school effectiveness in Vietnam. Great Zoe to know about your interests related to poverty and education which stem from lack of access and equity which is close to me as well. These two concepts may be two sides of the same coin as they say.I would be interested in your work possibly in the field possibly to be shared . As for me I have been involved in the development of education of the poor and powerless for over a few decades but still the well fed and well read are less inclined to assist the development of these groups. They state that greater attention should be paid towards them but these are more rhetoric and never practiced in reality. Perhaps you may be interested in a project that I have conceptualised, studied/researched and implemented in Sri Lanka related to Education of the Poor and Powerless, a project that is piloted in one province. We have also developed a Hand Book to guide all educational personnel which could be shared once it is out.